Clean the shrimps and remove the skin except the tail side skin. Mix rest of the ingredients in one bowl. 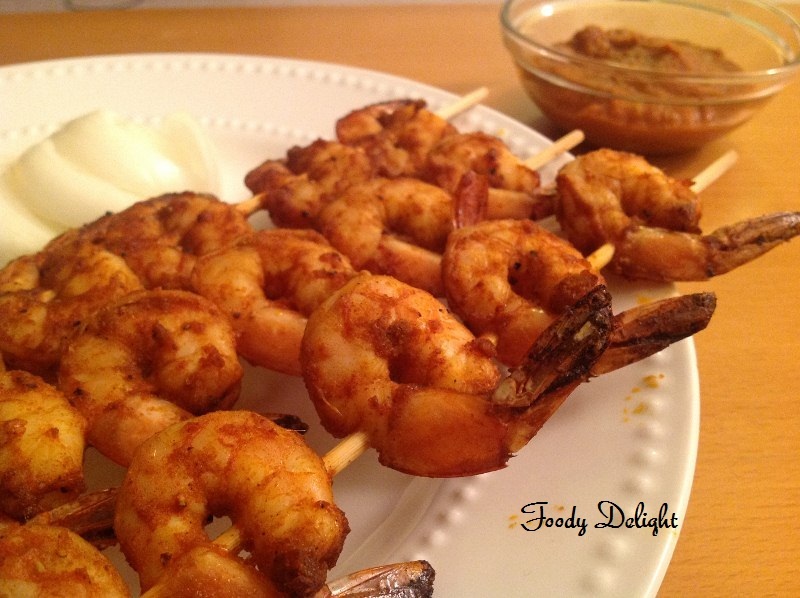 To that add the shrimps,coat well and marinate for about 1 hour. 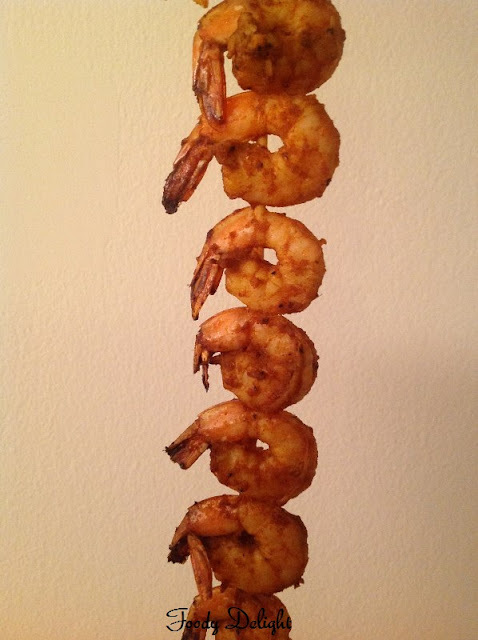 Bamboo skewers should be soaked into water atleast for about 30 minutes,this avoid the burning of the skewers. 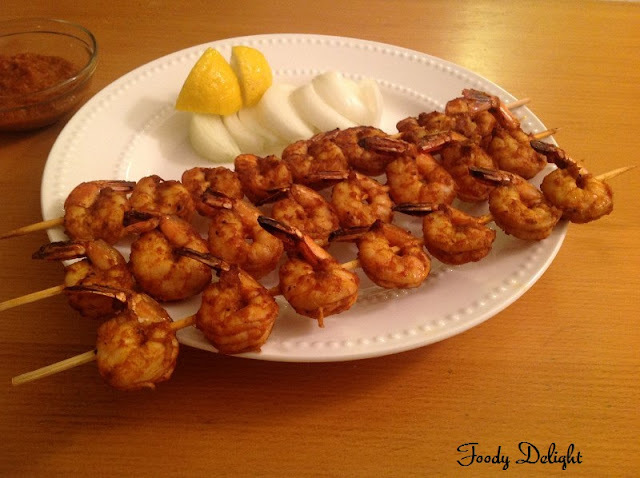 Arrange the shrimps into the skewers,coat with little oil and grill them on medium high for about 5 minutes each on both the sides. Shrimps are ready to serve. It can be served with any salad. 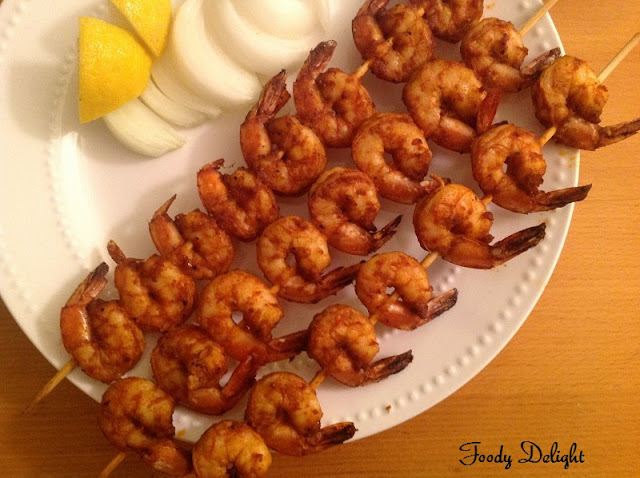 You can also bake these shrimps into oven, by switching the oven to 375 F and cook for about 20 minutes. Remember to dry all the shrimps before marination. Looks yummy. I love shrimp. grilled shrimps look delicious... fabulous recipe.. Thanks for visiting my blog.shrimp looks awesome.lovely photos.